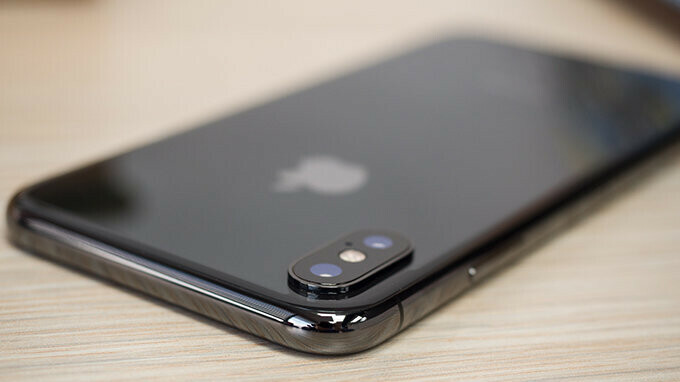 Apple has signed up with TSMC (Taiwan Semiconductor Manufacturing) to produce the next generation of chipsets that will go on to power the iPhone 9, Xs and Xs Plus this year. The silicon doesn't have an official name yet, but following Apple's naming scheme, it will likely be called the A12. It will be built on a 7-nanometer process and is expected to be the first of its kind to land in a smartphone when it launches on 2018 iPhone models this fall. According to inside sources, cited by Bloomberg, the A12 chipset has just recently entered mass-production. The next generation silicon will be smaller than the current A11, which has an 11-nanometer design, but will be more powerful and energy efficient, providing better performance and longer battery life. Back in April, TSMC announced that it was beginning mass-production of 7-nanometer chips, but the company didn't specify who the contractor was. According to Bloomberg's report, this was, indeed, Apple, which has propelled the chipmaker on the path to a record profit year. There is a big chance that the 2018 iPhone lineup will beat the Note 9 when it comes to chipsets, unless Samsung's premium phablet ships with an 8-nanometer processor, which will be comparable to the A12 chip. But even then, Samsung has its cutting edge, ultra-violet lithography (EUV) tech, which is way more advanced than TSMC's exhausted optical approach to building chipsets. This could mean that Apple may decide to go back to Samsung for an eventual A13, yet it's TSMC that will reap the A12 benefits this year. Does it support 5G ????? Most likely providing Intel support it. Apple won't upgrade their Qualcomm modems until intel are comparable. Last I checked we are still on 4G...the new iPhones will be 5G ready along with the new iPads. I won’t upgrade this year unless there will be something ground breaking in the new iPhones. My iPhone X is so great that I believe it can carry me 3 maybe even 4 years unless Apple comes up with spectacular in the next years. The IphoneX has been solid for me also. I will get the new phone because I do Jump on Demand. That being said I can see a iphoneX being fine for at least 2 more years. Only major feature that is coming in the next few years will be 5g. Other then that I can't see anything that would make me really want to get a new phone. Agreed, had the X for a short time, but it's a keeper. I think these times are over. IPhone X is so powerful and iOS12 will be an optimization version of iOS11 anyway. Yeah, it's suppose to run smoothly now. Wait until the new iPhone is out and the X will eventually will become slower. Doubt it though iphone X would've been around for a year after the new one comes out lol my 7 didn't feel slow when 8 and X went out. Yeah considering how great iOS 11 runs on an 3 yr old A9 processor. Actullay iOS 12 doesn’t support Touchwiz Lol. 7nm means great battery life. Not really, they will include a smaller battery. It's nice for the regular android flagship user to have this window to the future and see what the qualcomm silicon will be able to achieve in 3-4 years time. And guess what?, they actually stay open and don't have to reload. Smashing ain't it. I have an iPhone 6 with 11.3, my only complain is the slow opening of apps and the FPS that 3/4 times won't open. The rest is ok.
Can’t wait for this processor to release on the new iPhones... I can’t imagine 30-40% increase in performance on battery and CPU performsnce.